An unfortunate collision can change the appearance and shape of your car drastically. One of the common types of repairs is to have a custom body kit installed. The most common style of custom body kits is one that includes replacement panels, the front bumper, and the rear bumper. We provide only high quality body kits designed for vehicles of all makes and models. You can have a body kit installed on your car by a professional or you can do it yourself. It can be more expensive to have it installed professionally, but if you aren’t experienced with installing a body kit, it might save you a lot of time and money to have it done by someone who knows what they are doing. 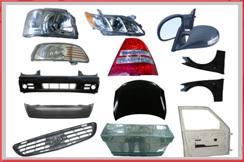 The range of parts available in body kits vary depending on the maker of the kit and the make of your car. A body kit will commonly include bumpers, spoilers and side skirts, but side guards and roof scoops will also be available. Whether you are looking for a complete body kit designed to replace your vehicle’s OEM parts and panels to the exact same specifications or you want an aggressively style custom body kit that drastically changes the appearance of your vehicle, our technicians can help. 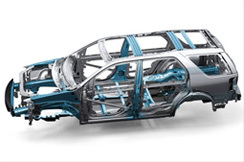 We bring your vehicle back to life with customizable body kits designed to give you a car you can be proud of each time you take it out on the road. We can also supply add-on components once your body kit has been installed. Add ons include splitters, spoilers, fender flares, wings, and lips. If you want it, we can get it for you. Just ask!